Another Mother’s Day gift! Pale blue/lavender and mint glass strands are loosely braided with a strand of silver 6/0 beads. 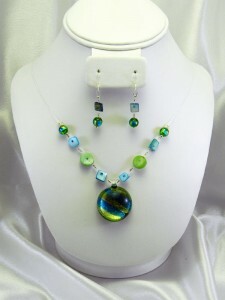 Blue, green, and silver version of the green and copper set I made for my sister for her birthday. 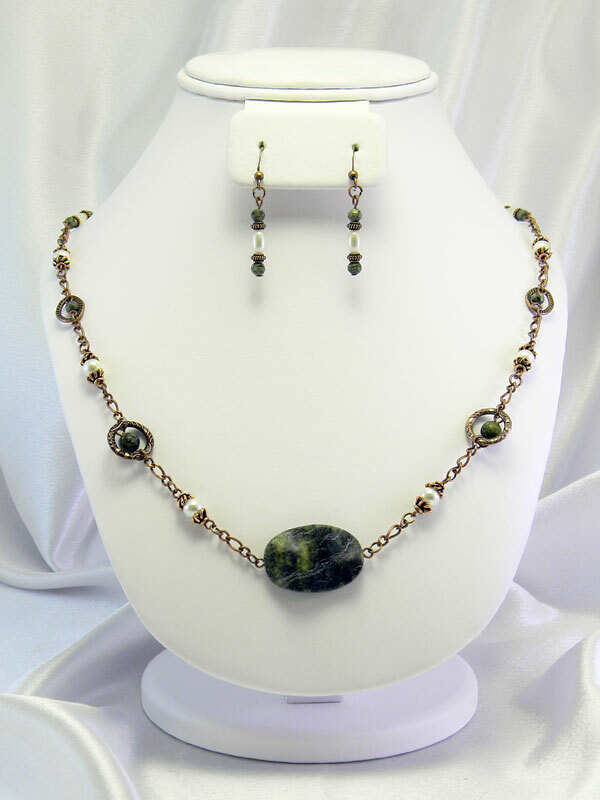 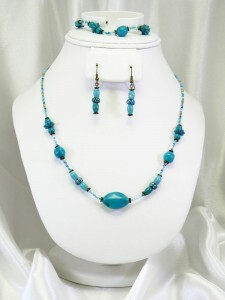 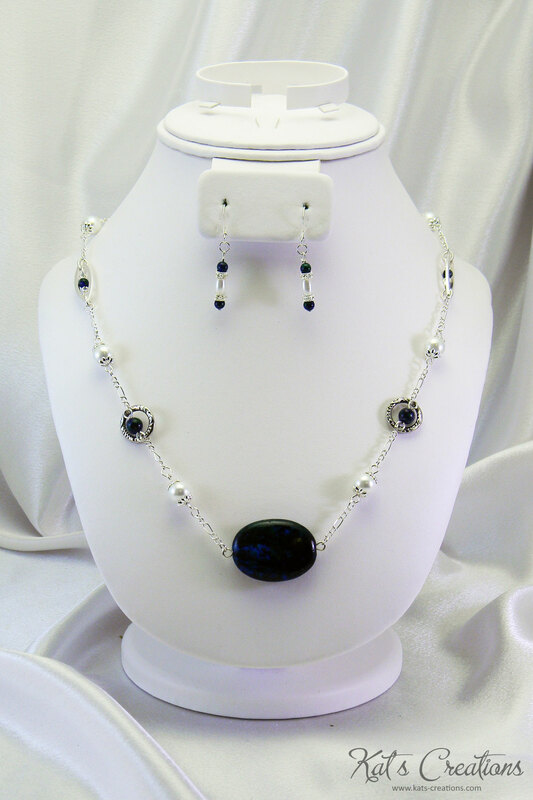 Features azurite-malachite stones. 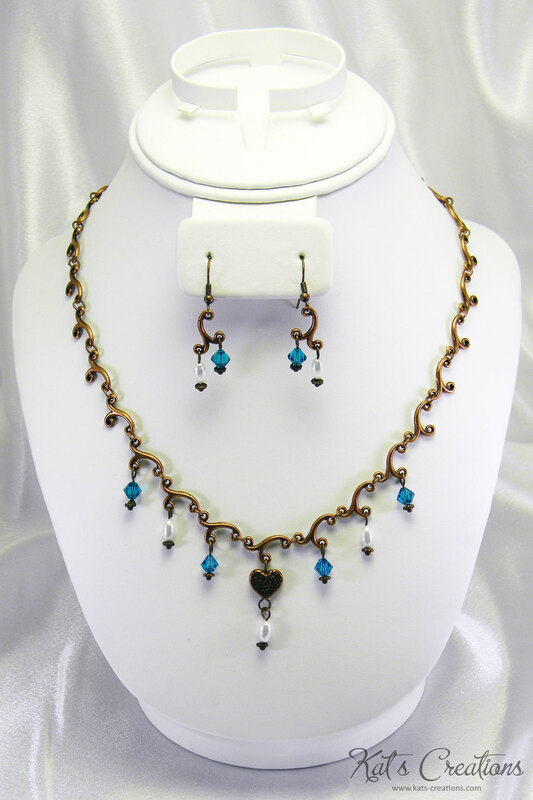 Because the original copper set used Russian Jade, I now call this design “Krasivaya” (красивый), which is Russian for “beautiful”! One of my favorites! Bright blue and green shell pieces coordinate beautifully with the foil-backed glass pendant. 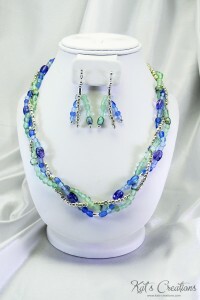 They’ll seem to float against your skin or blouse thanks to doubled strands of transparent thread. 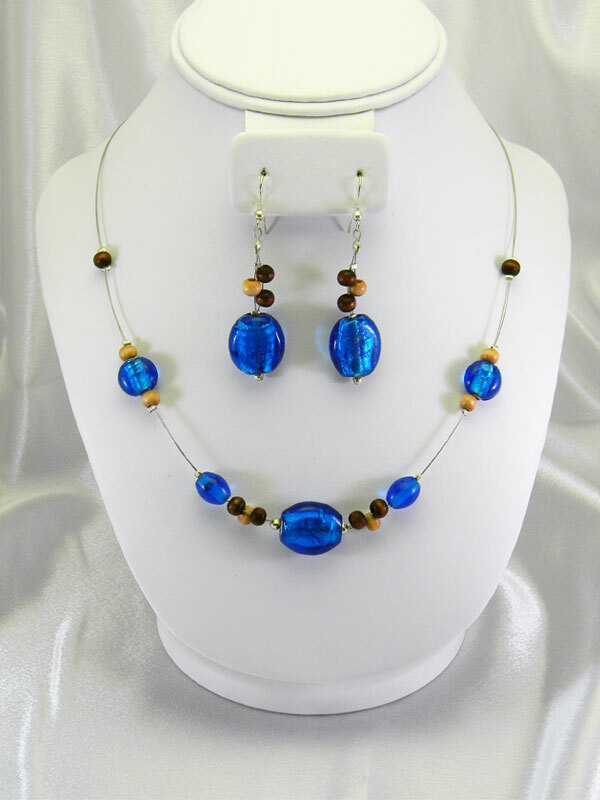 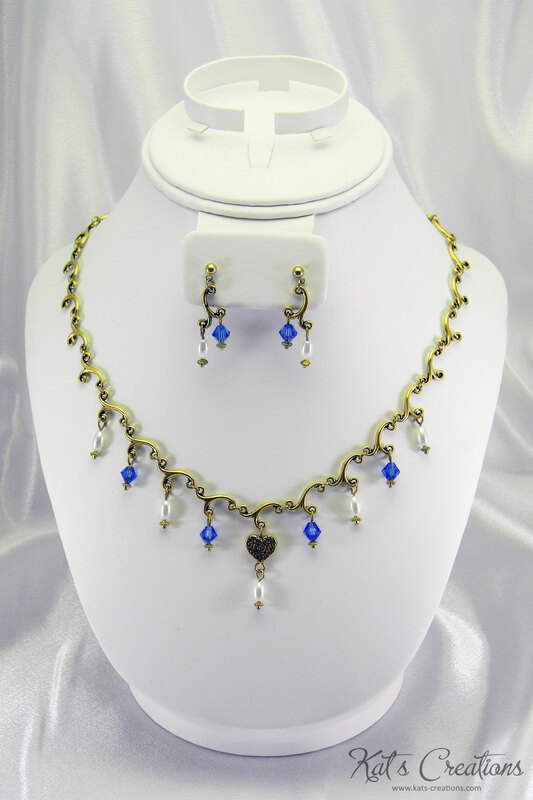 Brilliant blue beads with a silver foil core sparkle against the double-stranded wire setting and wooden rounds. 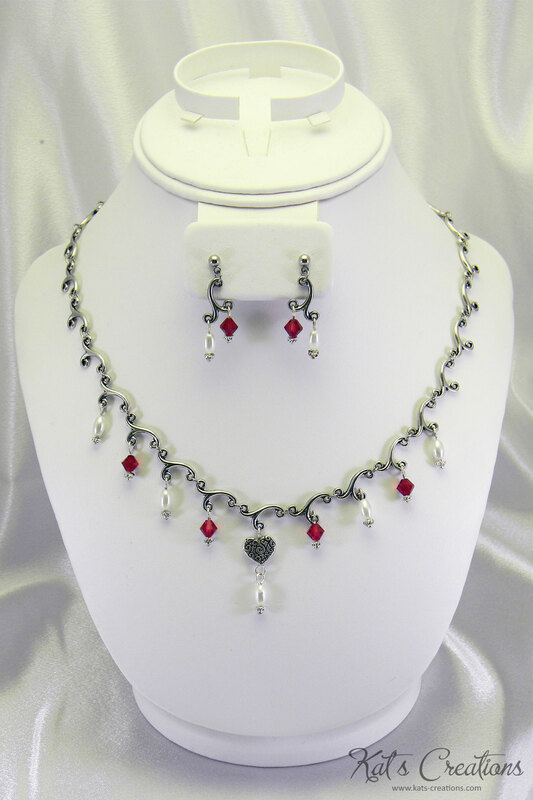 My first and most popular design!